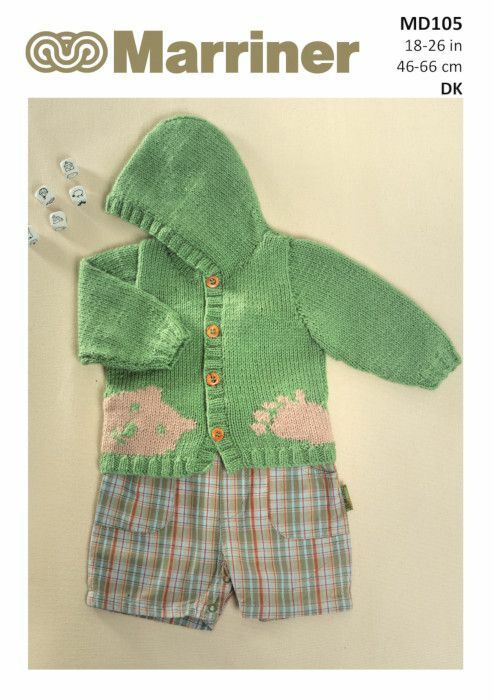 A traditional cardigan with a hood and sweet bear motifs. This is knitted in our Double Knit yarn in the shade Apple and Oatmeal. 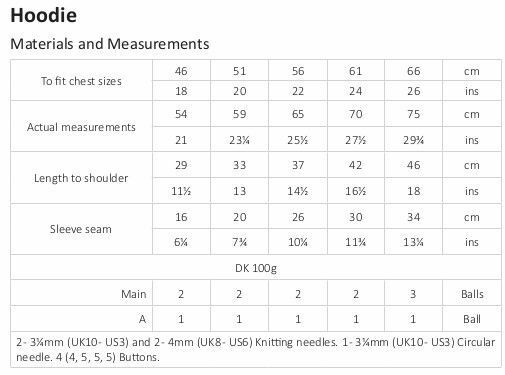 Hooks required A pair of 3¼mm (UK10 - US3) and a pair of 4mm (UK8 - US6) Knitting needles. A 3¼mm (UK10 - US3) Circular needle. 4 (4, 5, 5, 5) Buttons.